Richard Baxter throws his fine porcelain pots on the wheel . 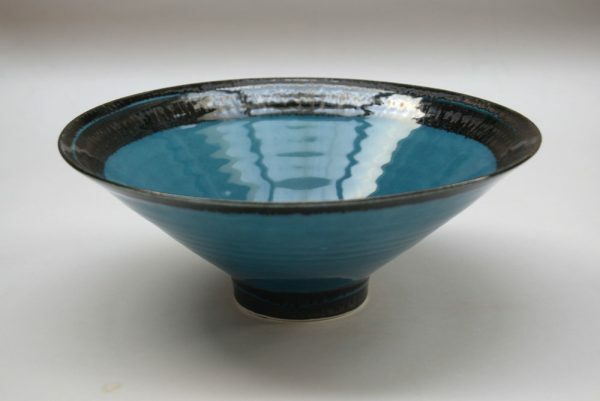 His footed bowls, jugs, bottles, mugs and other pieces are finished in a distinctive range of beautiful and colourful glazes. He works from his studio in Leigh on Sea in Essex which is officially the happiest town to live in England. His studio and gallery is by the waterfront in this charming fishing town and can be visited throughout the year. He supplies galleries around the country and undertakes commissions.